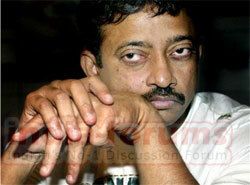 Ram Gopal Varma has Two Releases in Two Weeks for the first time !!! Ram Gopal Varma , who, for the first time faces a situation where he has 2 films releasing back-to-back, must surely be feeling nervous. On one hand his multi star cast 'Ram Gopal Varma Ki Aag' is releasing on 31st August whereas on 7th September, his film 'Darling' produced by T-Series, is all ready to hit the screens. With both films belonging to two totally different genres, its no wonder Ramu is walking around with a worried look. The rough and wild look of 'RGV Ki Aag' has already set the tongues wagging while 'Darling' starring Fardeen Khan, Esha Deol and Isha Koppikar, revolves around a ghost. Here's hoping that Ramu does not have any haunting nightmares till the release!!! Priyadarshan Honours a Commitment To Gulshan Kumar Shilpa was asked before Ash!